3 student filmmakers discuss their award-winning short films. Photos and frame grabs courtesy of the filmmakers. The 2015 ASC Gordon Willis Heritage Awards were recently presented to student cinematographers in three categories. For Documentary, Rob W. Scribner (Full Sail University) won for Warbird Pilot: Behind the Visor; in the Graduate category, Steven Holloway (American University) won for The Defeat (x3); and in the Undergraduate category, Nicolas Aguilar (Chapman University’s Dodge College of Film and Media Arts) won for Run. To be eligible, students must be enrolled in an undergraduate or graduate program or have graduated within the past year. 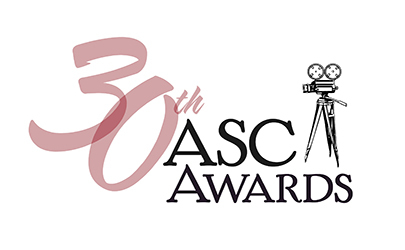 Established to inspire the next generation of cinematographers, the ASC Heritage Awards are renamed annually in memory of an extraordinary ASC member. This year’s honoree, Gordon Willis, ASC, crafted bold, uncompromising images in collaboration with directors such as Francis Ford Coppola, Woody Allen and Alan J. Pakula. Willis received two Academy Award nominations — for Zelig and The Godfather: Part III — in addition to an honorary Oscar and the ASC Lifetime Achievement Award. Rob Scribner, who started flying Cessna 150s at an early age and later served in the Air Force, melded his love of aircraft with his passion for cinematography in this short documentary about “warbird” pilot John-Curtiss “JC” Paul. Warbird pilots are volunteers who maintain and fix legacy aircraft for places like the Warhawk Air Museum in Nampa, Idaho; when Scribner — who had been studying cinematography online with Full Sail University — met Paul, he knew he’d found a story that needed to be told. Scribner captured his interviews with Paul at 24p with the FS100 fitted with the 18-200mm, the 7D with a Canon EF 50mm prime, and the 60D with a Canon EF 18-135mm (f3.5-5.6) zoom. The latter lens was also fitted to the 7D for time-lapse shots. The FS100 was the A camera, which recorded to 64GB Sony Memory Stick Duos and shot in AVCHD at 1080p. For this camera, Scribner shot at “500 ISO for most of the shots, but during the motorcycle sunset shots toward the end of the evening, when not pointed at the sunset, I had to kick it up to 3,200.” He also used the FS100 for b-roll, nearly all of which was shot at 60 fps “to create more emotion for the viewer,” Scribner explains. On a few occasions he shot at 1080p and 60 fps with audio, in order to capture the sound of the engines starting up for use in post. “Even though the FS100’s S&Q [mode] is a better quality, it has no audio capabilities,” he says. The 7D and 60D interview footage were both shot in 1080p/24p. The 60D time-lapse footage was shot nearly identically to that of the 7D, other than the use of 16GB SD cards. Both Canon cameras shot at 160 ISO for time-lapse footage and 320 ISO for interviews. Scribner’s lighting package consisted of five 500-watt Britek lights — all 3,200K and fitted with soft boxes — one boom stand, five daylight gels and one 100-watt Britek cone light. “For the interview, I used an overhead 500-watt Britek light with a soft box, and another 500-watt Britek way back on camera right to help create a nice rim light for the profile shot.” In the background, he used two 500-watt units with daylight gel to give more light and separation between Paul and the vintage P-51 Mustang. Scribner edited and graded the film in Adobe Premiere Pro CC on his MacBook Pro. The final deliverable was “1080p H.264 at 24p — basically Web-ready,” he says. “My main goal for this film was to get a Vimeo Staff Pick, which I did right after releasing it, so before I started shooting I planned everything to be delivered on the Web. Warbird Pilot: Behind the Visor can be viewed here. While enrolled in a theory class for his MFA degree at American University, Steven Holloway and his classmates were assigned a team project related to the class focus on different film genres. Holloway took over sole creative authorship of The Defeat (x3) when his teammate had a work conflict and dropped out. The result is a quirky and satisfying paean to three distinctive film eras. In the scenario, two men hunch over a board game; one of them, briefly interrupted by a phone call, finally throws the dice, makes his move, and cackles with glee when he sees that he’s won. A cut then reveals that the winner is in fact the loser’s daughter — and the game is Chutes and Ladders. The Defeat plays that scenario three times, in three different styles: German Expressionism, French New Wave and Film Noir. Holloway’s daughter Brooklyn served as makeup artist and costumer. Dave Renken, who portrays the winner, served as gaffer; both he and Art Kennedy (the dad) were first-time actors. Bailey Parater, a friend of Holloway’s daughter, played the girl. The Defeat (x3) can be viewed here. Nicolas Aguilar met Trevor Stevens in a screenwriting class, and the two immediately felt a kinship. So it was natural for Aguilar to shoot the senior thesis project Run, directed and co-written by Stevens. The gritty story begins with reluctant gang member Marcus (Jordan Mosley), who has always sheltered his younger brother, Martell (Erick Bowman), promising to take him away from the neighborhood and gang life. Marcus’ life intersects with that of Dean (Heston Horwin), a young recruit with a rival motorcycle gang known as the Riders Under Naberius M.C. When the gang takes Marcus captive, Dean is left to guard him. Marcus convinces Dean to let him go, and the two try to escape the warring gangs through a nighttime industrial landscape. With the Epic, he used Arri/Zeiss Ultra Prime 20mm and 24mm lenses — as well as a Rokinon Cine 24mm and a Zeiss Planar 50mm for the Canon EOS 5D Mark II. “Perhaps 90 percent of the film was shot with the 20mm,” Aguilar reports. “My shooting stop was T1.9 most of the time in night exteriors, while interiors were at T2.8.” Aguilar says he rated the Epic at ISO 800 and then “let things go dark when they needed to be.” No lens filters were used on the production. The majority of the movie was lit with practicals, but Aguilar carried a relatively substantial lighting kit and worked with two gaffers, Luka Pascalicchio and Mike O’Kane. The kit included two Kino Flos (a 2' four-bank and a 4' four-bank], one Arri M18, an array of Mole-Richardson units, and two Luminys Systems 1K sodium-vapor lights and a 1K metal-halide fixture. Aguilar also purchased about 20 household fixtures and 50 lightbulbs that were carefully placed and controlled through dimmers and sometimes gels. Run can be viewed here.